All council policies and procedures found in Volunteer Essentials and Safety Activity Checkpoints must be followed for the FAQ regarding Mutual of Omaha accident insurance to be in effect. In particular, it is GSTF policy that all adults who attend an overnight must be registered and background checked well in advance of the overnight. Any adult who had the opportunity to be alone with a girl while serving in the capacity of a GSTF volunteer, must be registered and background checked prior to supervising girls. The following questions and answers were provided by GSUSA's insurer, Mutual of Omaha. All members are covered under the Basic Plan. These Questions and Answers will serve to interpret the insurance for Councils. The questions have been broken down by General Questions, Plan Differences, Covered Activities and AXA Travel Assistance Services. The added notations for the Council which follow the asterisk (*) contain the rationale for the answers. 1. What is meant by an approved, supervised Girl Scout activity? A. It is an activity carried out by registered Members of the Movement, under supervision of adults, in keeping with the Girl Scout Program Standards and Safety Activity Checkpoints. Safety Activity Checkpoints can be found in the Resources section of the Volunteer Toolkit (VTK). 2. What is the minimum premium per event? A. There is no minimum premium per event. The $5.00 minimum applies to each online submission of an Enrollment Form. 3. What is the purpose of the Basic Plan? A. To assure that every registered Girl Scout is automatically covered by accident insurance during normal supervised program activities, except those events which last more than two consecutive nights (three nights when one of the nights is a federal holiday, such as Memorial Day or Labor Day). Coverage is automatic for all girls upon registration in the Movement and payment of dues. 4. What are federal holidays recognized by the Basic Plan? 5. Is a new Member automatically covered under the Basic Plan when she joins Girl Scouts? volunteer receives their registration and membership dues. 6. Are nonregistered mothers, consultants or other persons assisting the volunteer covered under the Basic Plan? NOTE: Nonmembers who get more than sporadically involved should become Members. 7. Are “Tagalongs” (brothers, sisters, friends) covered under the Basic Plan? A. No. “Tagalong” means a person who attends an event but is not of an age or skill level to participate. If the “Tagalong” is a registered Member, but is not of the proper age for the activity and is not participating as a service project, there is still no coverage. For example, a registered Girl Scout Daisy tagging along with their parent who is leading a Girl Scout Cadette group has no coverage for the event. Conversely, a Girl Scout Cadette, tagging along with their parent and assisting at a Girl Scout Daisy meeting does have coverage. It is the policy of Girl Scouts of Tropical Florida to require coverage of tag-a-longs who are boys, as well as girls too young to be registered Girl Scouts. If an event is not age appropriate for the registered Girl Scout (see examples above), the girl MAY NOT participate. 8. Are covered medical expenses under the Basic Plan payable regardless of the existence of other health insurance policies? 9. Is it possible to purchase insurance for groups of unregistered participants (including family members) in approved, supervised Girl Scout activities? A. Yes, optional coverage is available for such approved Girl Scout activities as nursery units at day camp, a special community group invited to join a Council-sponsored event, boys who are active participants in a co-ed activity. *Optional Plans are available at Council’s discretion and at additional costs. 10. When and how can sickness insurance be provided? A. Sickness insurance is provided along with accident insurance under one of the Optional Plan 3’s, but it is not available for events lasting less than three nights. 11. Are pre-existing health conditions covered by Accident and Sickness Insurance? A. No, only sickness which is contracted and for which treatment begins while the coverage for the participant is in force is covered. Many HMOs, PPOs and other medical plans require prompt notice; don’t delay notifying the family’s insurance carrier if a pre-existing condition is or might be involved. 12. How can reimbursement be made when payment for treatment was provided, via a credit card, at the time of services rendered? A. Reimbursement for eligible expenses under all Plans can be made by submitting a completed Claim Form, the providers diagnosis and a copy of the bill (charge slip) showing charges incurred for treatment. 13. The doctor treating the participants has prepared one bill for all the girls treated. Is it necessary to complete a separate Claim Form for each girl receiving treatment? A. Yes. Even though payment will be made to one doctor or hospital, a Claim Form must be fully completed for each person. 14. A participant decides, while returning from an event, to visit a relative or friend who lives nearby and becomes injured in a bus accident on the way to or while leaving the relative or friend’s home. Would the participant’s medical bills be covered? A. No. Coverage only applies to accidents which occur while traveling directly to and from the covered activity. Side trips or visits are not covered. 15. When counting the number of days of an activity/event on the Enrollment Form, do you include the beginning day and ending day of the event? A. Yes. Since coverage for travel directly to and from an activity/event is covered, all days, including days traveled, should be included. For example, a group leaves home Friday afternoon and returns home Tuesday morning. Coverage must be arranged for five calendar days. 16. Who are benefits paid to? (a) the Insured’s spouse; (b) the Insured’s child or children, jointly; (c) the Insured’s parents, jointly, or to the surviving parent; (d) the Insured’s brothers and sisters, jointly; or (e) the Insured’s estate. 17. For a coverage or claim questions how do we contact United of Omaha/Mutual of Omaha? 18. How are benefits claimed? A. To claim benefits, fill out a Claim Form. NOTE: THE COUNCIL WILL NEED TO REVIEW ALL CLAIM FORMS AND REPORT SERIOUS ACCIDENTS TO ITS LIABILITY INSURANCE CARRIER. LIABILITY POLICIES OFTEN PROVIDE MEDICAL PAYMENTS. THESE MAY BE IN ADDITION TO PLAN BENEFITS OR IN LIEU OF. CHECK WITH YOUR AGENT/BROKER. 19. What is the basic difference in the coverage provided by Optional Plan 2 and Optional Plan 3’s? A. Plan 2 covers accidents only. Plan 3’s cover both accidents and sickness. *Plan 2 could be considered by Councils for Nonmember participants for activities/events of a short duration and/or based on the proximity of the activity to the participants’ homes. 20. What is the difference in coverage between Plan 3E and Plan 3P? A. Accident Medical Expense and Dental Expense Benefits payable under Plan 3E are subject to the Nonduplication Provision. Plan 3P benefits are not subject to the Nonduplication Provision. 21. What should be considered when deciding if Plan 3E or Plan 3P should be purchased? If the Insured has no health plan, pays up to 100 percent of Usual and Customary Charges for covered expense subject to the policy maximums. Plan 3P (Primary coverage): Where payment of bills by cash or credit by volunteer is expected, family plan unable to respond quickly, and the ability to reimburse the volunteer quickly is desired [i.e., family’s HMO or PPO network for sickness (chicken pox, virus, flu) would be impossible, inconvenient, involve significant transportation expense and/or require the participant to leave the event before its end solely for the purpose of accessing the family’s medical provider]. 22. Is Plan 3E or Plan 3P recommended when traveling with Girl Scout groups outside the USA? A. No. Plan 3PI (as described in more detail in this guide) is the recommended Plan of Coverage for International events. 23. How does Plan 3PI differ from Plan 3P? A. Plan 3PI provides accident and sickness insurance along with travel assistance services for trips or events which take place outside the USA. Plan 3P provides accident and sickness insurance as described in the Guide in section 3, for trips or events which take place in or out of the USA. However, keep in mind that Travel Assistance Services are not included under Plan 3P. Assistance Coverage, and are higher than those under Plan 3P. 24. Are fundraising drives, money-earning events and program activities, such as cookie sales, covered? A. Yes, they are covered under the Basic Plan, if they are approved and supervised. 25. If an event begins Friday after school and ends Sunday afternoon, does this meet the definition of a two-night event? A. Yes, it is covered under the Basic Plan. 26. Is traveling to and from a group meeting or activity covered? A. Yes, it is covered under the Basic Plan. The insurance includes travel to and from group meetings or activities, provided it is direct. The insurance does not cover accidents which occur during or after deviation from the direct route to or from the meeting place. For example, a parent picks up a Member(s) from a meeting, then proceeds to the shopping mall before returning home. 27. If an event lasts more than two overnights, will the entire event or the first two nights be covered under the Basic Plan? A. No. The entire event is excluded from the Basic Plan, including travel to and from. An Optional Plan of activity insurance would need to be arranged through your Council to cover the entire period of the event. Contact your Council, describe the event, indicate inclusive dates, and number of girls and adults participating. *The Council will need to arrange for one of the Optional Insurance Plans in order to cover the event(s) excluded under the Basic Plan. 28. Are activities engaged in independently, that is, on their own, by one or more Members of the group covered under the Basic Plan? adult supervision; (d) some or all of the girls on the way home after a troop meeting go to the movie or stop in at the mall. 29. If a Member is injured while individually practicing skills for a badge or learning a sport, such as individual roller skating or horseback riding, is she covered under the Basic Plan? A. No. These are individual activities conducted outside of the Girl Scout group setting and not under the direct supervision of Girl Scout group leadership. 30. Is coverage provided under the Basic Plan if Members of our group travel outside the United States on a Girl Scout project or activity? A. Yes, as long as the trip lasts less than two consecutive nights (three if one is an official federal holiday). A trip outside the USA would usually involve more than two consecutive nights, therefore, Optional Accident and Sickness Insurance is needed. Plan 3PI is recommended for International Travel, although 3E and 3P are available. 31. Does the Basic Plan cover the delivery of Girl Scouting programs outside of the traditional Girl Scout group? A. Yes. An example of such a program would be a Special Interest Group, which meets the criteria established for the activity to be considered Girl Scouting. 32. Would coverage be provided under the Basic Plan for medical expenses of a Member who became ill during an approved activity? A. No. Sickness is not covered; only medical expense arising out of an accident during an approved, supervised activity is covered. However, illness caused by an accident, such as a poisonous snake or insect bite, would be covered. 33. 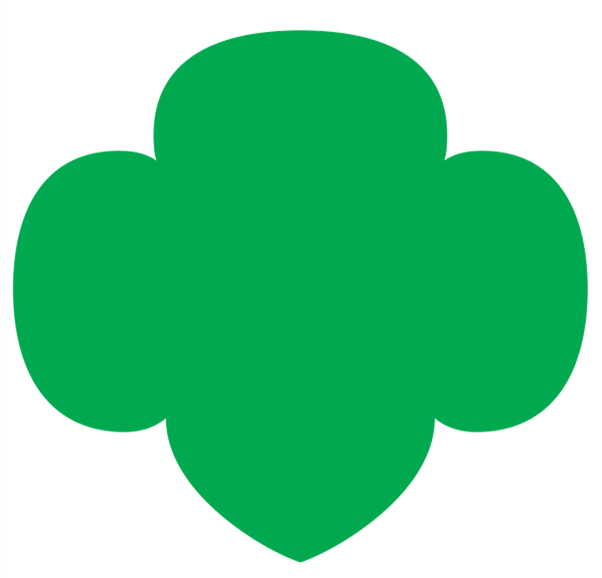 A participant falls while hiking along a trail during a Girl Scout approved event and hits her face on a rock breaking off two front teeth. Is the repair of the damaged teeth covered by this insurance? 34. If a Member loses a filling or breaks a false tooth, a bridge or a brace, would the dental work be covered by Accident and Sickness Insurance? A. No. Only dental treatment to sound, natural teeth damaged as a result of an accident is covered by the policy. 35. Suppose a group of campers, upon leaving camp and returning home, become ill as the result of food poisoning contracted while attending the event, would this be covered by Accident and Sickness Insurance? A. Yes, if it can be shown that the group became ill due to food poisoning contracted during participation in the activity/event covered by Accident and Sickness Insurance. 36. Must Plan 2 be purchased for Members and Nonmembers participating in Day Camp or similar-type events? A. No. When Plan 1 covers Members, Plan 2 need only be purchased for Nonmembers. 37. Is there a need to provide coverage for Members under Plan 2? A. Yes, for events lasting too long to be covered under Plan 1. 38. What are typical events for which Plan 2 is used? A. Recruitment events, Supplemental Supervised Units, family events, programs held in conjunction with other organizations where Girl Scouts is the primary sponsor, and school environmental education programs managed by Girl Scouts and using Girl Scout programs are just a few of the events which can be covered under Plan 2. 39. We are planning to offer Girl Scout programs weekly at a shelter. There will be Nonmember participants; how do we cover them? A. Submit a Plan 2 Enrollment Form with the dates of the scheduled activity listed. Use a reasonable estimate to determine the number of Nonmember participants. 40. Suppose an outside group (Nonmembers) uses Council property for an activity which is under the supervision of the Girl Scout Council, is it possible to arrange insurance under any of the Optional Plans of insurance? A. Yes. The Optional Plan coverage and rates were developed on the basis of Girl Scout managed experience only. The Insurance Company relies on Girl Scout supervision and approval for all events and especially the adherence to health and safety standards. 41. What are examples of events that could last more than two nights and could be covered by Plan 3E or Plan 3P? A. Resident Camping, Destinations and all sorts of trips and travel, including bike, canoe, etc. Depending on program management, Environmental Education Programs (for schools and other groups) and other special events may be covered. 42. When may Plan 3E or Plan 3P be used for family camping? A. If the program is planned and managed by Girl Scout staff (paid or volunteer) in accordance with Girl Scout Program Standards and has the approval of the Council, Plan 3E or Plan 3P may be used. Family camping which encompasses structured Girl Scout programming – not just allowing families to camp on Girl Scout property – may be covered. NOTE: Providing food and shelter only is not sufficient to allow for Plan 3E or Plan 3P coverage. 43. What are the additional AXA Travel Assistance Service benefits provided under Plan 3PI? 44. Does a Claim Form have to be completed and sent to the travel assistance service company after using any of their services? A. No. Claim Forms are not required or submitted to AXA Assistance-USA. 45. For a coverage or claim question how do we contact AXA Assistance-USA?